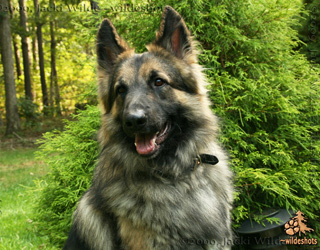 Malibu is out of Babbling Brook's Mia and Malachi litter #2. She is a momma's girl, always at her side. Her purpose is to please mom. She is easily trained and highly intelligent. She is a talker and has learned how to count! Although Malibu may be petite, she is the guardian of the family and home. Malibu is a lover of toys and balls. With toys thrown all over the house she is able to greet everyone who enters with a toy in her mouth. 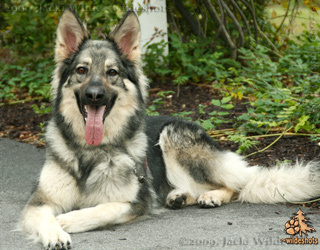 Malibu's coat has beautiful markings of black, silver and tan, with a white belly. She has done well in the show ring, achieving her TSSR & NAKC championship.Her movement is graceful. She has a great tail and ears. She was recently awarded therapy dog certification. General (Keelie/Elvis) a 2nd generation Boz progeny and the first of Keelie's progeny to be bred. 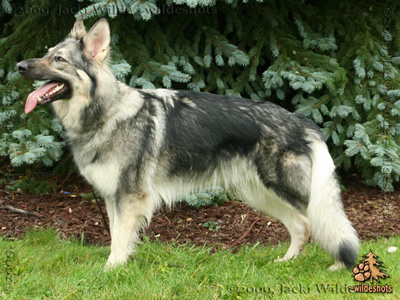 Keelie is litter mate of the fabulous Boz three (Noah, Keelie and Lizzie) bred by Susie Ramstead. General has a great combination of his sire (the fabulous Elvis) and dam's temperaments. He is very sweet, gentle and extremely affectionate with adults, children and other animals, but still has that little bit of a protective side that presents itself when needed by his owners. General loves puppies and has assisted in raising the families "foster kittens". 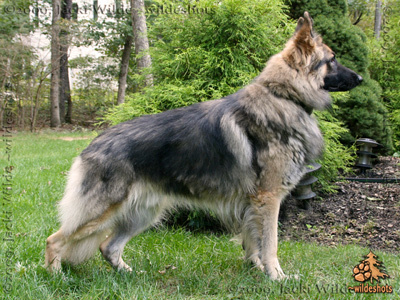 General at almost three years of age is still physically maturing. He presents with size 29+, bone, a large head, perfect pointed ears with a fantastic ear set, deep chest, good length of body, a beautiful saber tail and deep gorgeous pigment. General has done well in the show ring with his beautiful flying trot and his desire to please along with an occasional trip to Herding events. General has a very gentle side, but also has working capabilities. 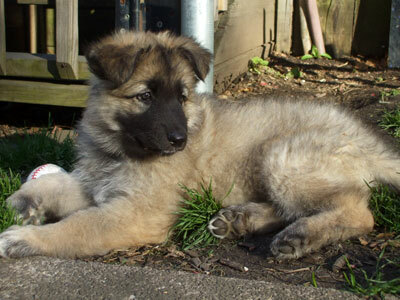 Puppies from this pairing should be of minimum or above in height, good bone, gorgeous ear sets, large heads and nice tails with lovely movement. Temperaments should be med to med-soft temperaments with working ability and stamina along with being great family companions.